Against two of the top six nations in the world, Australia has so far recorded not only two positive results but also put in two positive performances for very different reasons. 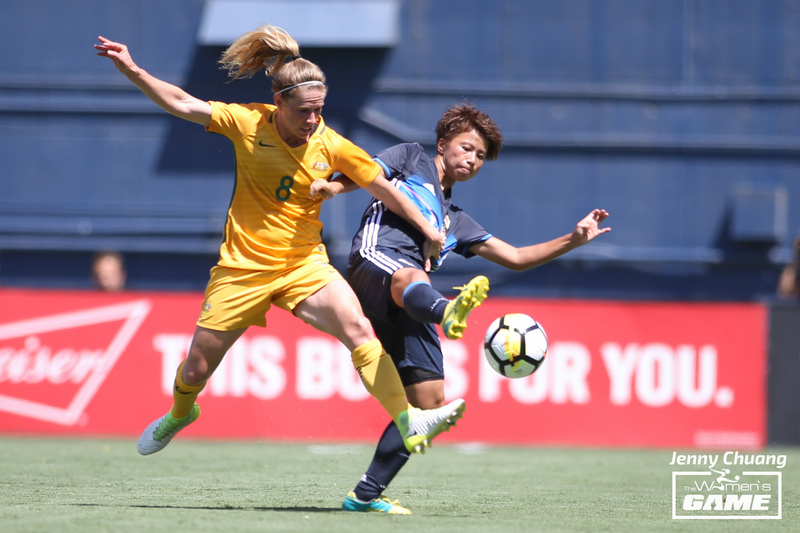 The Tournament of Nations provided an opportunity for Australian head coach Alen Stajcic to observe the squad and experiment with positional and personnel changes in a tournament environment. 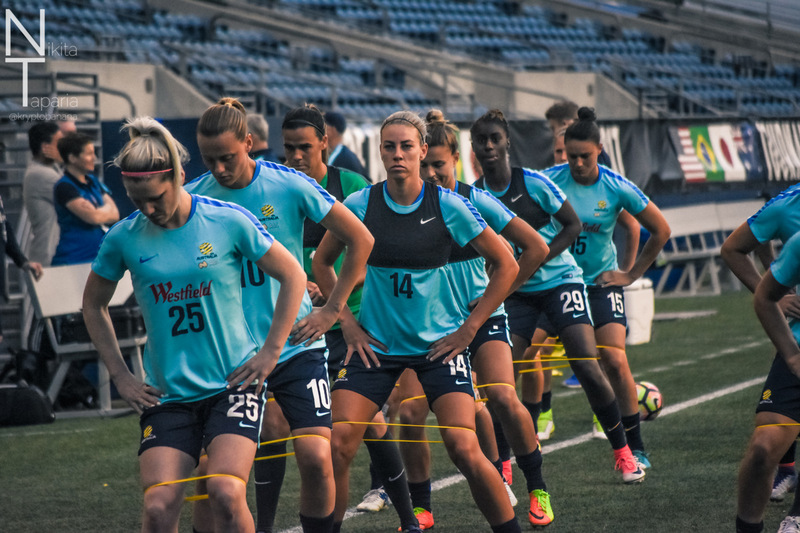 Stajcic shares his thoughts on Australia's tournament so far, what lessons he has learned so far and the subtle changes occurring in international women's football. "There has obviously been a lot of good points to those performances. The best part for me is that our team still hasn't played our best football and there were still elements in both matches that we could do a lot better." "The good part is that we are getting good results with the way that we are playing and the better part is that we have so much to learn and to improve." "I've said this year is about testing out the flexibility of the squad and the depth of the squad and I think on both accounts we have progressed." "The difference from Game 1 [USA] to Game 2 [Japan] was 5 personnel changes but 9 positional changes." To have that much rotation and still to be able to perform at a good level and pick up a result against a world class team shows how far we have come and evolved. "This tournament has allowed us to build and add another string to the bow. That will add another little bit of ammunition to our team when we get to major tournaments as it means we can back up game in and game out regardless of who is playing and which position they are in." "It has been a key feature for three years now. We were certainly a hard pressing team at the World Cup and we became even harder pressing at throughout the Qualifiers and Olympics. Nothing is changing." "I think the whole world knows how we play now. They expect that type of game. Every time I talk to foreign coach and people who watch our team play they are well aware of the strengths of our team and our defensive press." "That is something that is a real strength of our game and they know that to beat us they are going to have to beat us with a lot of skill, tenacity and it's going to be a tough game." "I think that the most important part, before we even get to the performances, is the way the players came into camp this time. The group has been away from each other for a long time and it was probably the most mature they have come in." Everyone was really happy to come in and be a part of the national team again. The attitude and the maturity that the players came in with was really at the highest level I've seen. "That led to our training being a high level, our meetings at a high level and I really had an optimistic outlook for the matches as a result of the way that we have come in. I think that team is really showing that maturity on and off the pitch and the results are reflective of that." "On the pitch our defensive press has been good. We have had a lot of good counter attacks from our defensive press. Sam's second goal against Japan was a great example of a little bit of a high press that resulted in a goal. We have created many, many chances like that." "On the field we can still keep the ball a lot better. Against Japan there were way too many turnovers; cheap turnovers, unforced errors with the ball." "I think that our defensive pressure was quite good most of the time but again we conceded a goal off a set piece, which in our team is unacceptable." "We hold a high standard for set pieces. We have become a good attacking team for set pieces so that was pretty disappointing to conceded a goal in that way." "Those are are probably the two main areas certainly on the ball we still have a lot of room for improvement and that will alleviate some of our defensive pressure if we continue to hold the ball for large patches and longer swathes of the game." "I think that there is a large amount of belief in this team now and that has evolved in the past two, three years. It is not just that false bravado. The players know that we can compete with anyone around the world on any given day." The challenge I pose to us as a group is that can we back up and do it game in and game out, rather than just compete with a USA, a Germany or Japan in a one-off match. "Our goal now is to build up to 5, 6, 7 matches in a row to win the big tournaments. That will really be the true test of whether we can win the World Cup or not." "Gaining consecutive wins in the Tournament of Nations is part of that process and winning it would be building on that belief." "At the end of the day we have faltered at major tournaments at that quarter final stage now and that is the 4th or 5th game in. We really need to get to the stage where we can play at a high level at every game." Prior to heading to the Tournament of Nations Stajcic attended the opening group matches at EURO2017. "The difference between number 1 and 10 has diminished greatly. Even now to 20 to 25 like Austria and Belgium the way they are performing, and even I was impressed with Iceland." "That is tremendous for women's football, it's tremendous for football as whole to see the engagement of so many countries and the resources they are now putting in to have a good national team." In another aspect for Australia at or near that tree, that just it shows how good we are going as a national team. "Everyone is investing more, everyone is putting in the infrastructure for the development of women's football." On the flipside is shows just how much work we are going to have to put in to stay at the top. 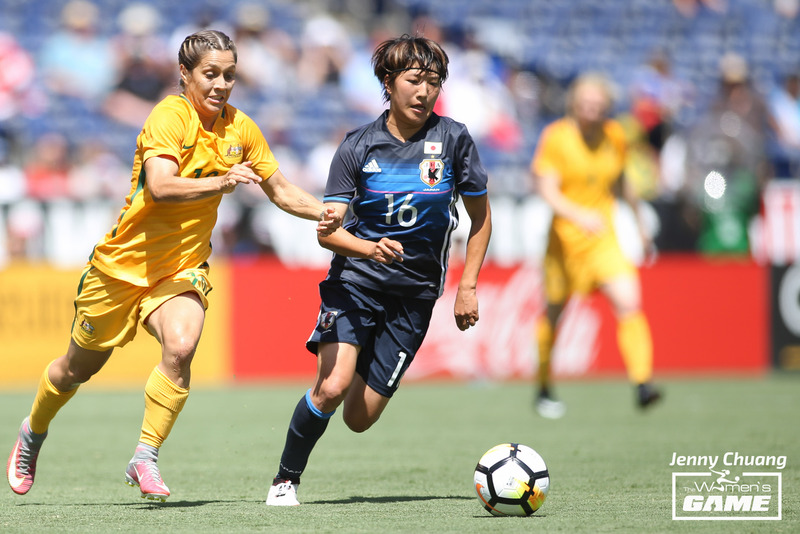 Work from the ages 12, 13 to 18, 19 to ensure that we have a Matildas team that is competitive into the future. "If we drop the ball at those age groups, maybe for the next two to four years we have a solid team, but we need to ensure we have a solid team for the next 5, 10 to 20 years and not just for now." Australia will take on Brazil in their final match in the Tournament of Nations tomorrow. Kick off is 9.15am LIVE on Fox Sports 505. 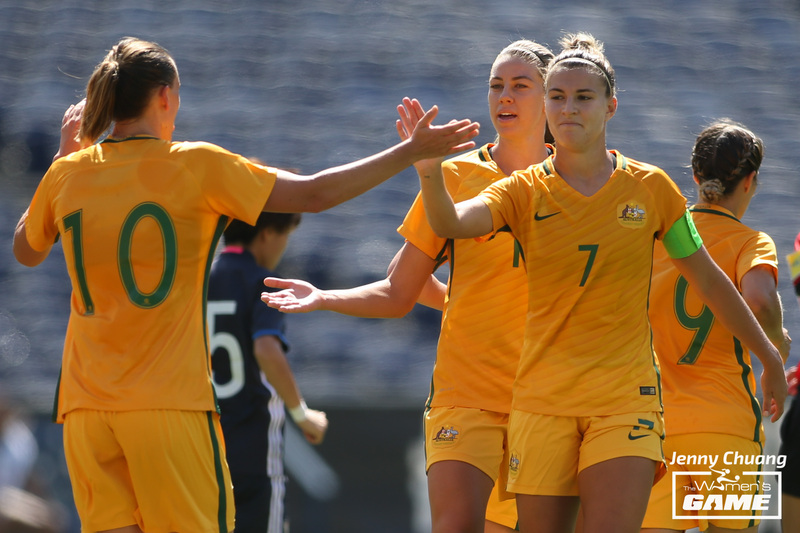 A draw or win for Australia will see them claim the inaugural Tournament of Nations title.